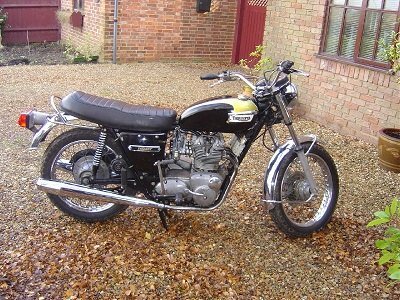 Purchased in May of 2007, this basket case 1974 Triumph Trident looked very weathered but was very low mileage. 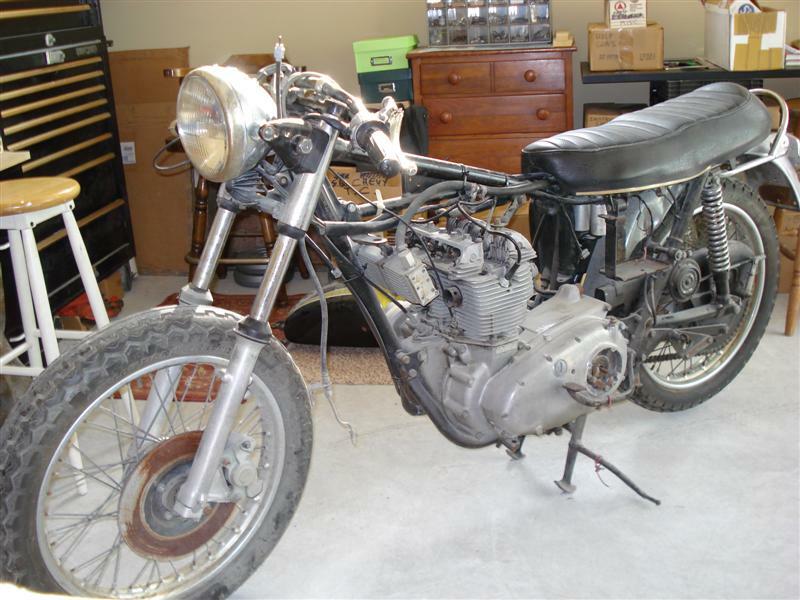 The bike was about 75% complete, and the engine was disassembled. A California title showed it was last registered in 1982. I could only guess as to why a previous owner had taken the bike apart. My worst suspicion was internal engine damage. If that was the case, this project will not be profitable. I started this motorcycle project by cleaning the chrome and aluminum. Aside from the satisfaction polishing dull metal to shiny metal gives, it offered me a closer look at the overall condition of the bike. A session with #000 steel wool revealed both chrome fenders to be in excellent condition, as did the rest of the chrome and aluminum. Before checking the engine compression, I drained, cleaned, and flushed the oil tank and oil lines. The oil screen was changed and then the motor was refilled with fresh 20/50 weight oil. The compression check showed all cylinders to be within specs. Very good news. 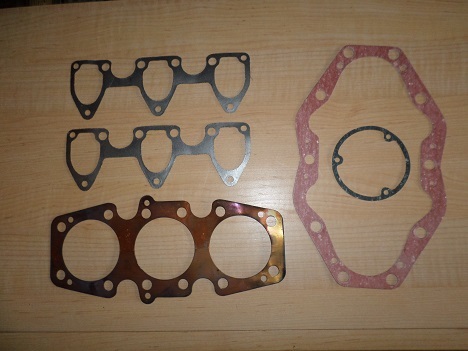 After the valves were adjusted, new rocker box gaskets were installed. 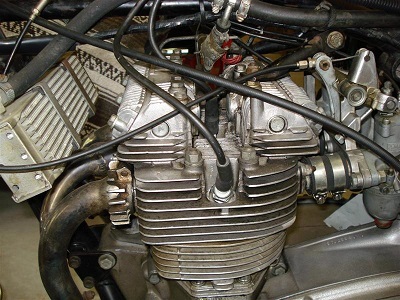 Triumph Tridents were equipped three 26mm Amal Concentric carburetors. 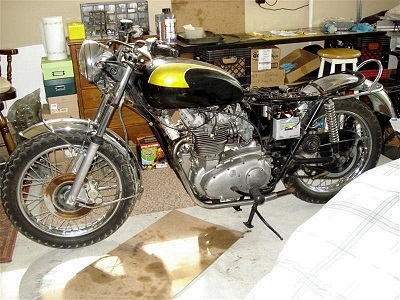 I found several places online that specialized in classic Triumph parts, and had no problem finding carb rebuild kits. 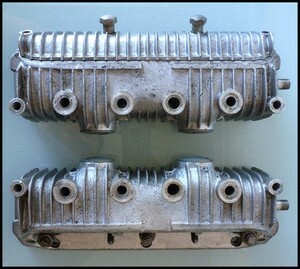 Rebuilding an Amal carb includes removal, disassembly, cleaning, inspection, reassembly, and re-installing. 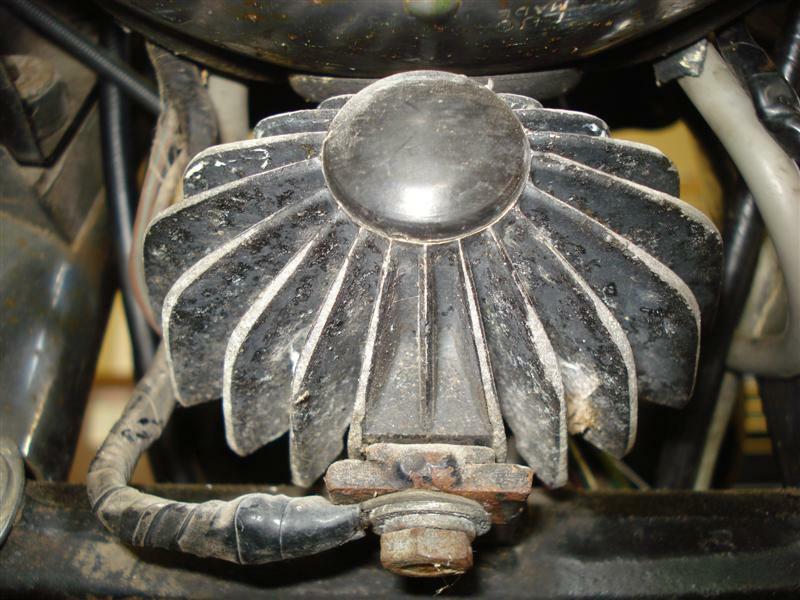 Early Tridents came with an 8" front drum. In 1972, it was replaced by a 10" disc and Lockheed caliper. The main advantage was the reduction of brake fade. I was able to re-use the front rotor, but the caliper required a cleaning and a rebuild kit. Before rebuilding a brake caliper, carefully inspect the piston and piston chamber. The piston should have a smooth, polished surface. Nicks and scratches on the piston will tear the o-rings and cause failure. Replacement pistons are available (carefully measure the size). Minor pitting of the piston bore can be cleaned up, and small scratches can usually be taken out. Lightly sanding with either emery cloth or wet 600-grit wet-or-dry paper may remove them. A rule of thumb here is if a groove can catch your fingernail, it's going to need to be re-sleeved. A popular upgrade on classic Triumph motorcycles is to convert to a twin disc set-up, which are available in the aftermarket. There was always a mystique about vintage British electrics and there shouldn't be. 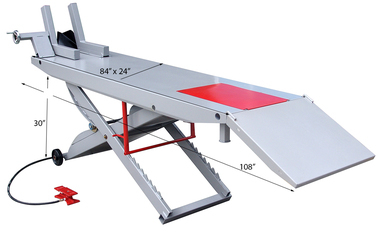 The simplest way to diagnose a positive-ground system is to reverse any diagnostic procedure normally used on a negative-ground system. For example, instead of starting on the positive side of the battery and following the current that way, start at the negative side of the battery and follow the current the other way. After tightening up some loose ends and cleaning a few dirty connections the electrical system checked out O.K. The three sets of points were cleaned and properly set. Despite what you may have heard or read from uninformed people, the Lucas electrical system is actually pretty good, designed to be compact and efficient. When kept in proper working order, it is completely adequate for the service for which it was intended. The original gas tank still had presentable original paint, but was badly rusted inside. I'm not a fan of liquid tank sealant, but the exterior was too good not to re-use it. I was now getting spark at the plugs and gas to the carbs. After dozens of kicks, the Trident still wouldn't start. Turns out that without the original air cleaner installed (which I didn't have), the carbs were getting too much air, even with the choke fully out. So, I covered up the bottom-halves of the carbs with duct tape. Within a few kicks it fired up.